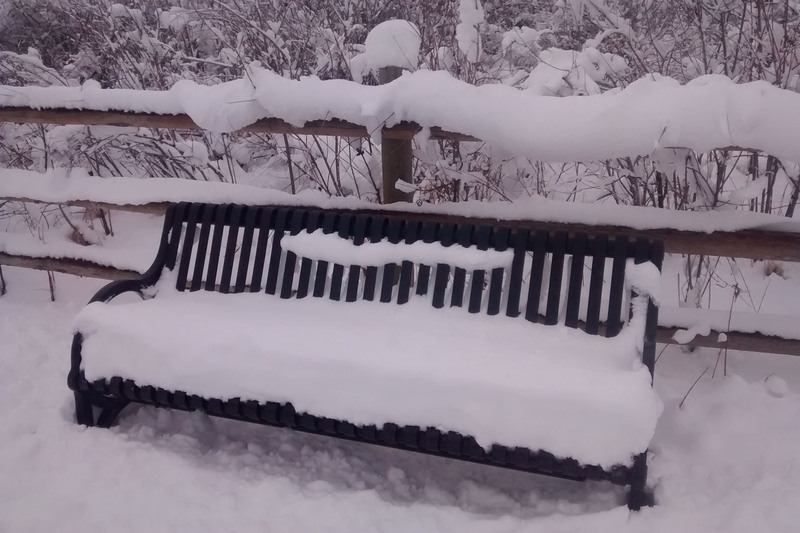 Then on Sunday, it snowed. It snowed a lot. Now, our region needs the snowpack for the coming summer and thus I am grateful for this snowstorm. 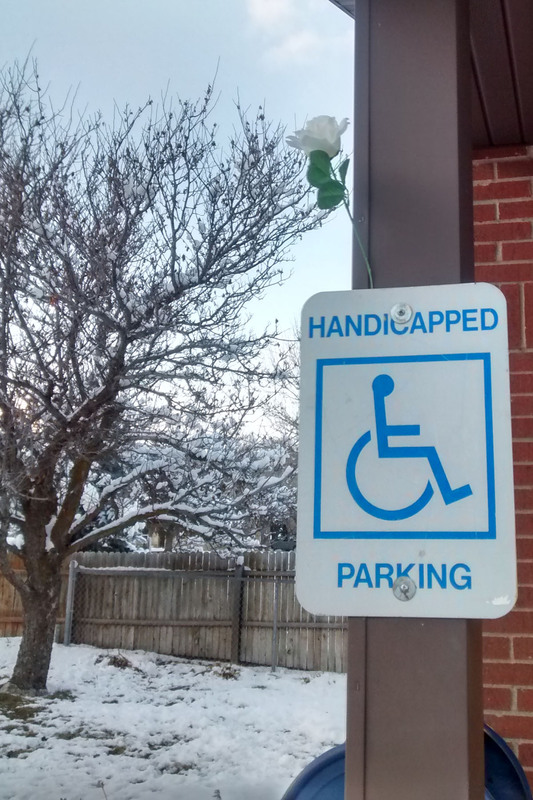 This white floral silk rose appeared on the sign for the handicapped parking space at my local post office several weeks ago. I know that white roses symbolize purity, innocence, and respect, but I do not know who put the rose here or why. It’s a small mystery that keeps life interesting.